Yoshi as a 4 is good. I'd definitely classify Wolverine as a 2. Mega Man. One of Capcom's flagship characters, he looks like a little kid, but is a robot. At the beginning of his games he's only OK in terms of power (probably a rank 6 to , but the more bosses he defeats, the more weapons he obtains. I'm thinking the same could apply to this bracket - if he makes it to the next round, he "steals" one ability or weapon from those he defeats. Based on who he beats, he could get quite powerful by the end! Spider-Man. Why not have old Web-head involved? I'd rank him as a 1 or 2. Link - the hero of the Legend of Zelda series and the one who bears the Triforce of Courage. In all of his adventures, he ends up obtaining all sorts of interesting items that aids him on his quest, from boomerangs to masks that allow him to change shape. Although he often starts out as simply a pointy-eared farm kid, by the end of the adventure he's a force to be reckoned with. I'd rank him as a 4. Dracula - more specifically, the one from the "Hotel Transylvania" movies. Even though he's a vampire, he's not bloodthirsty (he actually consumes a blood substitute, according to the original flick). He has all of the standard vampire strengths and weaknesses, but is amiable enough to not be a murderous psychopath, like most vampires. I'd rank him as a 3. Scooby-Doo. The mascot of "The Mystery Machine," he travels with his human companions (most often Shaggy) to solve mysteries wherever they are to be found. Well... they tend to solve the mysteries while he and Shaggy run away and hide. Still, he tends to be victorious at the end... especially if offered Scooby Snacks! I'd rank him at a 12, but wouldn't argue if he was placed lower. Juggernaut. Let's have another X-Man villain make an appearance (because the X-Men are the best. ) This thug (actually one of Charles Xavier's cousins) is immensely strong and nigh invulnerable... and not terribly smart. He wears a suit of armor in order to make more of an impact when he plows into something or someone (it's certainly not for his protection, because nothing can apparently hurt him!). His biggest weakness is his lack of intelligence. He wears a helmet to protect him from psychic attacks, but once that's knocked off, any psychic character can drop him with a thought. Another problem - he weighs a ton. So while he can't be killed in quicksand, or wet concrete, or deep water, it will significantly slow him down. I'd rank him as a 5. Just a few of my initial thoughts. I'm sure I can come up with a few more later! Thanks! This bracket is going to have a bit more variety than the last one. Also, when suggesting characters, I encourage adding some sort of description. They don't have to be really big, just a short summary of their abilities. Since we are going the fast route with this bracket, I am editing the poll for another thing. Good point, I will go ahead and do one for the characters I picked right now. Zero was Docter Wily's final robot, created solely to destroy Megaman. Yet in a twist of fate, Zero lost his memories shortly after awakening, and became one of humanity's greatest heroes, and was a role model and later a best friend to the new Megaman, named X. Zero's signature weapon is his Z-Saber, he however also uses a chargeable gun, a chain rod, and a boomerang shield that can reflect minor projectiles. Shadow the Hedgehog was created by Eggman's father. Ever since he was reawakened, he has been known as the rival of Sonic. 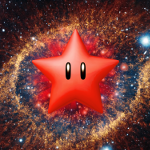 Kirby is Star Warrior who crashed landed on Dream Land, and has since then defeated Nightmare, Dark Matter, and many other sinister villains. Kirby's power is to inhale enemies and objects to gain their abilities and mastery of said abilities. If he inhales a sword, he becomes a master swordsman, or if he inhales fire he becomes a manipulator of flames. Bass.EXE is from an alternate megaman universe, where instead of Robot Masters, there were sentient computer programs called NetNavis. His abilities include floating, teleportation, dual machine guns, swords, a flamethrower, and he can also make huge bombs and burning wheels out of of dark energy. Then there is Yoshi, I am sure everyone knows him. Thanks for the information! I will start putting them onto a bracket soon, I have been busy recently. I think this is a great idea, love the creativity!! I have not had the time to do this, and I only have 5 more days. Sorry. Hey, real life comes first. Don't worry about it! We have had some wifi improvements, so I can be on the forums occasionally if we still want to do this. I will be changing the poll shortly so we can vote on if we want to try a second round. I have already set up a complete bracket, but I was thinking we could swap out some repeats and token characters for more variety. Since I already have the bracket finished, the process of picking/replacing characters should go much faster. I hope people are still interested in doing this again!